It is another Monday and today on Bitten By The Bug 2, Theresa got to pick the challenge! 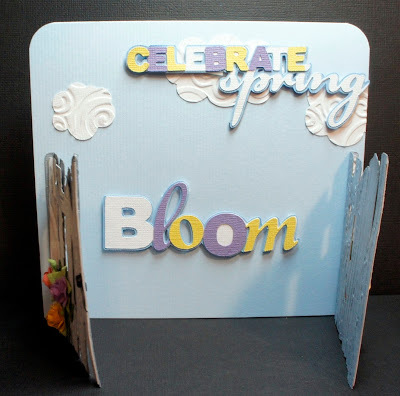 She chose the gate/fence on the Bloom Cricut Lite cartridge. Oh....NO--I didn't have Bloom! Well, I wasn't going to let that happen! Off to Walmart I go :) I wrote Theresa an email and thanked her for the enable! 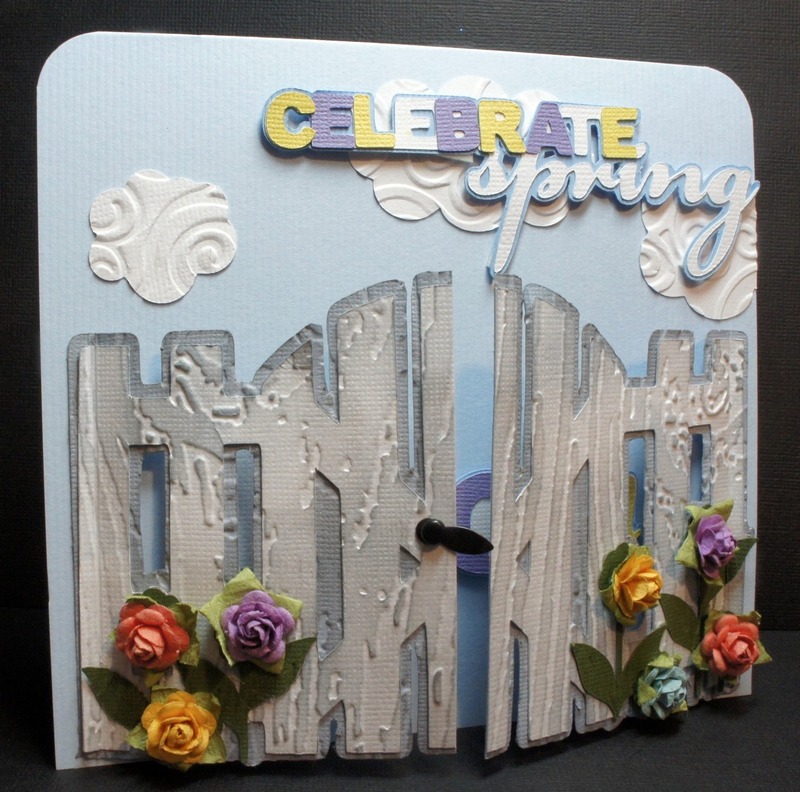 After I cut the gate, I embossed both layers with the Tim Holtz Wood Grain Embossing Folder. 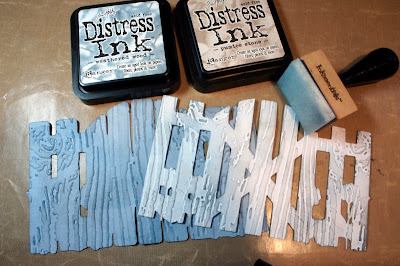 I then inked them with Weathered Wood (a no brainer) and Pumice Stone. I decided that the gate had to open! I cut the shape right down the middle with my trimmer and scored 1/2" inch in from each side to make the "hinges". Card Size: 6" x 6"
Celebrate Spring: Bloom Cricut Lite Cartrige @ 1.50"
Bloom: Bloom Cricut Lite Cartridge @ 1.50"
Please stop by Bitten By The Bug 2 and see all the other wonderful creations with this cut and then play along with us! Wow!!! 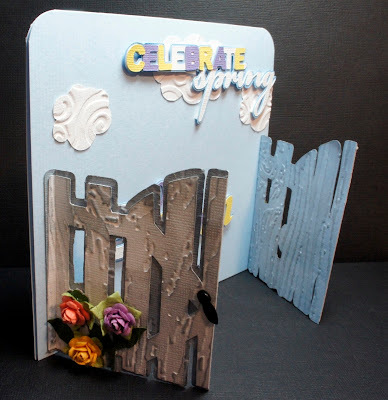 AWESOME card!!! Love your fence! That's so cute! Very clever! Maria-your card is precious. I was wondering who this card belonged to on the blog. Your name is missing, Sweetie. You need to get credit for your beautiful creation. Go in and add your name so everyone knows who designed this amazing card. Love how the gates open up. Pure genius. Aha, YOU made this beauty. I love the treatment on the fence, Love love how you make the gates open. This card is amazing. I love it - especially the whitewash on the fence. Really original. I'm so glad I finally got to enable someone, you all are always enabling me, LOL! Did you send this to Tim? This is the most perfect card! 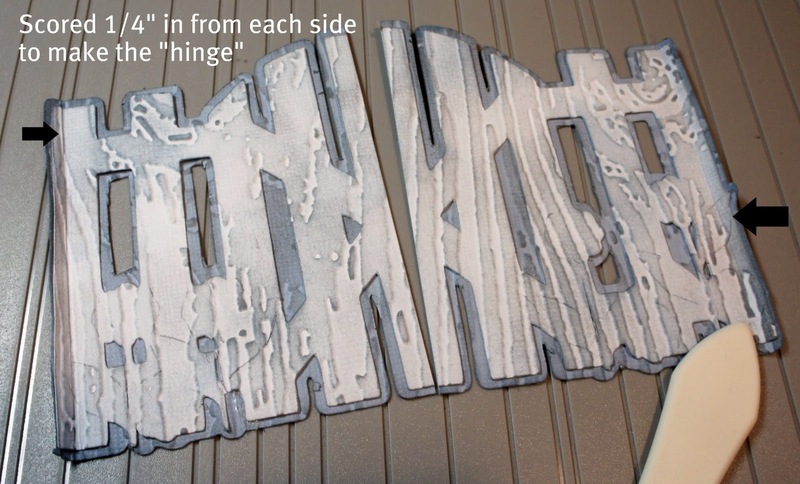 I LOVE the wood grain embossing. It is just stunning and I can't stop looking at it!! 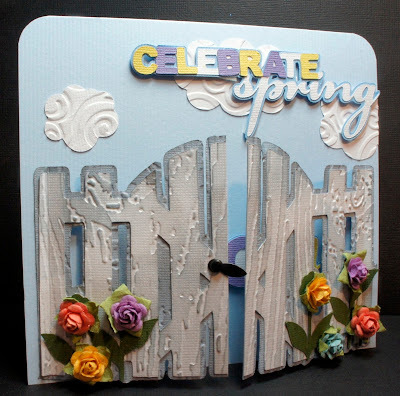 I love what you have done with the gate/fence on this card. I even have this cartridge!! !, thanx for the inspiration.